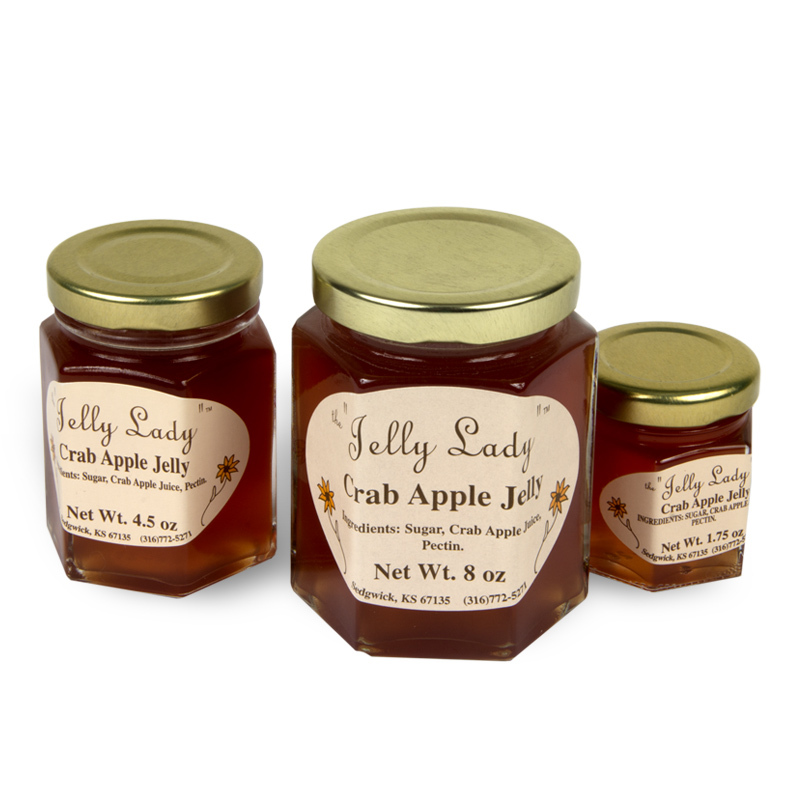 Made of crab apples, much of the fruit for these unique Kansas products is picked fresh in the wild. This interesting fruit, grown on ornamental trees, has a distinctly delicious taste that is slightly sour. Made as early as the 1300s, jellies became quite popular in Europe. Jelly-making became an elaborate art form. Americans put their own spin on the tradition, by filtering the juice of fruit, using naturally occurring pectin to set, and serving as a spread. These truly unique and wonderful Kansas jams and jelly flavors are inspired by nature and packaged in three different sizes. By the Jelly Lady of Sedgwick, Kansas.